Two books and a gavel resting on a desk. “Like a good neighbor, State Farm is there.” But do good neighbors try to cheat you out of coverage that you paid for, and then rig the courts to avoid responsibility? This is the exact scenario that was alleged in some litigation filed on behalf of millions of policyholders. The litigation was settled last month for $250 million dollars. One of the things we try to do here at Slappey & Sadd is remember what it’s like to be in the client’s shoes. It’s a good way to remember that things that may seem routine or unremarkable are actually unknown territory and fairly intimidating for the people we represent. As a result, we thought we’d use today’s post to walk you through the process in the event that you’ve been seriously injured. If you’ve been injured, the first and most important step is to seek medical treatment. In some cases, you have no choice – you need to go to the emergency room. In other cases, you felt fine right after the accident, but two days later you were in a considerable amount of pain. Or maybe you did receive immediate medical attention, but now you’re presenting with different symptoms. Whatever the case, you should listen to your body – if something isn’t right, go get checked out as soon as possible. If you’ve been involved in a car accident, your first priority is your health. Before anything else, you need to get examined by a doctor and seek the necessary treatment. Unfortunately, everything that comes after that – namely, paying your medical bills – can get fairly complicated. In this post, we hope to shed some light on how insurance plays a role in compensating you for your injuries. For purposes of this post, we’ll assume that your injuries are serious and will require long-term treatment, loss of income, and a significant amount of pain and suffering. Let’s also assume that you wind up having to pursue legal action in order to get fair compensation for your injuries. It’s no secret that ridesharing services like Uber and Lyft have exploded in popularity in recent years. Ridesharing offers a number of attractive options over traditional taxi service such as shorter wait times, a tech-based system, and newer, cleaner cars. However, no one ever thinks about what happens if they are injured in an accident while riding in an Uber or Lyft vehicle. Taxi companies are heavily regulated and have strict insurance requirements in order to protect customers in the event that something goes wrong. Ridesharing, given that it is relatively new, is still developing these standards. If you’ve never been in a car accident, you may be surprised at how quickly the insurance companies spring into action. It’s important to understand, however, that the insurance companies involved have different roles to play and different motivations. Your insurance company is working on your behalf because you pay your premiums and they are under contract. The other driver’s insurance company, on the other hand, represents the interests of the other driver. Even if the other driver has admitted that the accident was his fault, the insurance company then wants to make sure that it pays no more than it absolutely has to in paying your claim. As a result, the other insurance company is going to want to settle the claim as quickly as possible. 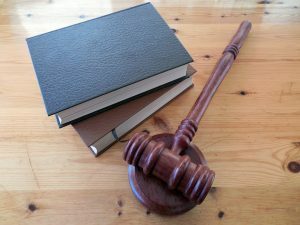 That may sound very appealing, but understand that a settlement is going to require you to waive any other claims, whether you are aware of them or not. For example, if you later discover that you have nerve damage as a result of the accident, you won’t be able to bring a claim against them if you’ve already entered a settlement agreement. For these reasons and others we’ll get into below, it’s very important to understand how to talk to the other driver’s insurance company. 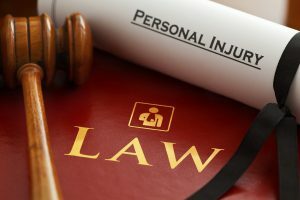 No one wants to sue another person, especially when your injuries were caused by an accident – it’s not as if the at-fault person intended to harm you. However, you should understand that who you are really suing is the other person’s insurance company. In exchange for their premiums, the insurance company agrees to compensate accident victims and pay for any property damage that insured person may cause. In addition, the insurance company agrees to provide a legal defense if they are sued. It is important to understand this relationship between the at-fault party and the insurer because the insurance company’s primary focus is to reduce the amount of the claims it has to pay. As a result, you should assume that they do not have your best interests at heart. Instead, they are likely to employ one of the tactics we describe below.